Does your website generate enough traffic but not enough leads? 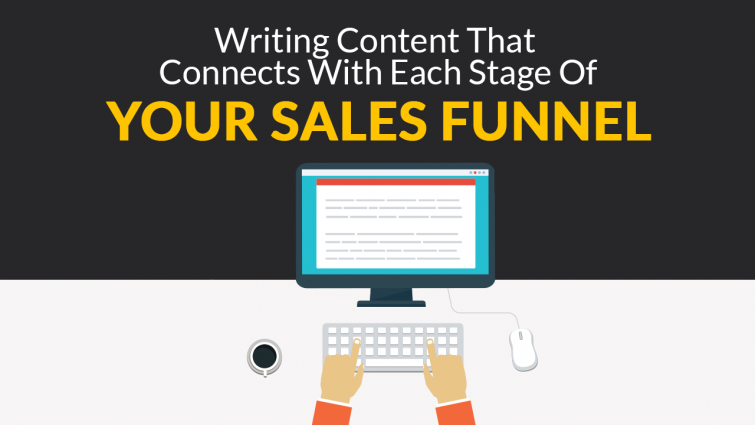 Have you given a thought to aligning your content with each step of your sales funnel? Writing the perfect content for your website isn’t just about using the right keywords. Yes, using the right keywords and optimized content will generate more traffic. However, that is all useless if the traffic doesn’t end up turning into leads and then sales. That is why you need to align content marketing with your sales funnel. After all, increasing sales is the overall goal for both marketing and sales, so why not have them collaborate? Most businesses focus on generating content that is optimized for search engines. From blogs to marketing campaigns, you will find that the right keywords are used, with plenty viewership but they may lack one thing or another to convert the traffic to sales. The content shouldn’t only be for generating traffic but also enticing that traffic to opt for your solution. 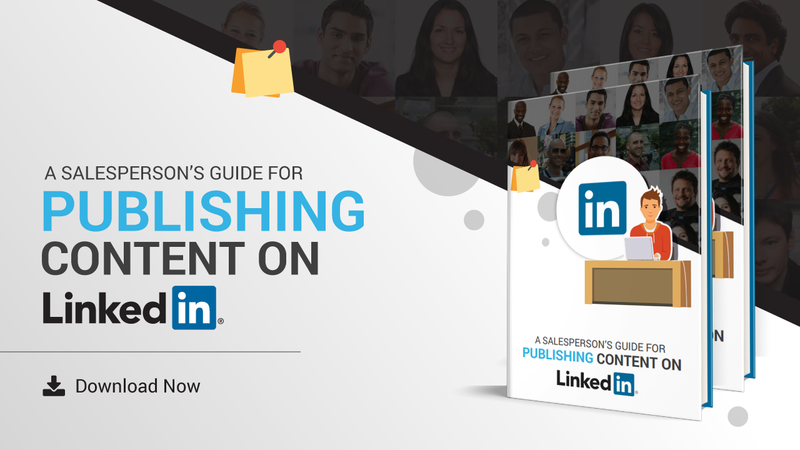 We have a guide for you that will help drastically improve your approach to content marketing. Ways you can interweave your sales and marketing strategy into one content strategy that turns online traffic into sales. Why Should Your Business Align Content Marketing With The Sales Funnel? As mentioned above, your content should be more than just a way to generate traffic. Think about it, if you can tweak the content a little bit to turn that traffic into sales, it only makes sense to. Otherwise, the content will sit in a vacuum, which doesn’t really help your business. For example, you post a blog that has over 500 readers but you notice that you barely have new leads since it was published. In terms of sales, the readership wasn’t really useful. Something simple as an effective call to action could have resulted in more leads. That is why it is important to analyze your content and align it with sales. By increasing collaboration between sales and marketing, sales can help the marketing team devise content that is more meaningful. No one knows your leads and customer better than the sales team. They interact with them the most during and post sales process. So they have insights into what the customer’s needs and wants are. This can help the marketing team develop content that targets these needs, making it more effective. Leveraging content and aligning it with the sales funnel allows you to guide the reader on what to do next to proceed. 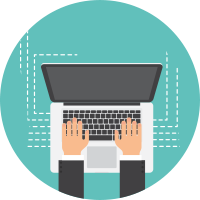 By incorporating a call to action, you tell them what the next step is, guiding them towards it whether it is filling a lead form, directing them to your website etc. 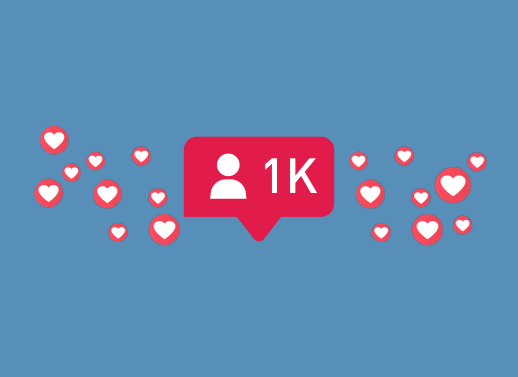 As long as your content is engaging and informative and promoted well, you can expect to get a lot of leads this way. Developing content that converts rather than just attracts starts with a comprehensive understanding of the buyer’s journey. Knowing the process inside out so the content can be written accordingly. Let’s go down the sales journey and see what your business can do in terms of content marketing. The funnel process starts with the user’s first exposure to your brand. They are interested in a service or product and have come across your brand. The type of content they are exposed to at this point is important. You don’t want to scare them off, so you want content that tends to the questions they may have and also explain how your solution stacks compared to the competition. What makes it more unique when compared to the competition? Since you will need to provide them with basic answers to any question they may have regarding your solution. So you will find that your title, meta description, and subheads will be in the form of questions. They will start with words such as: how, what, why, and so on. This is because the content at this point is just informational. Even the call to action is going to be basic and along the lines of, “To find out more (click/call)…” with the link to your website or an office number. When done right, you guide the researcher into the next phase of the sales funnel. By engaging the researcher, you’ve sparked a bit of their interest in your solution. This will prompt them to do a bit more research on your business, usually leading them to your website. Here, they will evaluate every little bit of content, looking for anything that can put them off towards your service. In a survey conducted by Adobe, 38% of users said that if the content of the website is unattractive they automatically stop engaging with it. So you want to make sure you have quality content. A value proposition, how your solution can and has added value to customers. Proof of your brand’s authority. This can include content such as case studies and any award or recognition that your brand might have received. Your content shouldn’t only develop further interest in the prospect but also establish your business as a thought leader in the industry. This means developing content that is innovative and insightful. Information about the services you provide that is not readily available elsewhere. This way they know you mean business and can trust your services. The CTA should have an appeal for the lead to go ahead and pull the trigger on the purchase. You may also want to put in links to your authoritative content (top blog posts and evergreen content). 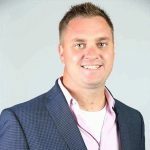 This is just to reiterate to the lead that your solution is right for them and also to provide a bit of extra information if a researcher gets their hand on the content during the initial stage of the sales funnel. Videos are also a useful tool to engage prospects at any stage of the sales funnel. Many websites use videos for numerous purposes from explaining their solutions to video testimonials from clients. Visual aid helps engage the prospect at another level and makes it easier for them to understand what it is you provide. A video plants a seed, your brand’s seed, in the mind of a prospect. 80% of users can recall a brand’s video they viewed 30 days after they’ve viewed it. It’s rare that a prospect comes to your website and purchases a solution right away. They take their time, shop around and decide. With the help of a video, they are more likely to remember your brand when they are ready to make a purchase. There is an art to making a video. 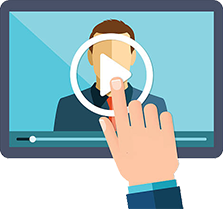 In the fast-paced world, you can’t expect a prospect to sit through minutes of video about your business. You need to keep it short, a micro-video is the perfect way to do that. These videos are usually 10-15 seconds long, you can even extend it to about 30 seconds, but we recommend not going longer than that. You want to make sure the viewer doesn’t skip out halfway through the video. A micro-video can be utilized at any part of the sales funnel. Creating one for each part should help speed along the sales process. A major part of your content marketing strategy is how you monitor and evaluate the overall process. You need to know which content works well and which doesn’t. The bounce rate in each of the stage refers to which individuals left the process at that certain stage. So if we take the first stage as an example, you can have 400 visitors but only 10 signups or users that click through. Some may eventually come back but the bounce rate is still fairly high within this particular phase. Which means, the content that is written to reach and engage users is not very effective and needs to be worked on. These KPIs should be the main focus of your M&E of content marketing. You may want to set up an evaluation on a quarterly basis. Which gives the content more than enough time to make an impact on the traffic. You can then easily identify leaks within the content based on these KPI and revise it as needed. Keep in mind, that all the content you write will be based on your specific keywords. It is important that all the content is optimized per your industry so it attracts the right traffic. Without optimization, you won’t get the right traffic or possibly any traffic at all. Optimization of the content and sales funnel alignment goes hand in hand. Now that we have the three phases of the sales funnel covered, we can move on to retaining clients. You need to create content specific to customer retention. While your exceptional service does most the convincing, you still need to create content that attracts loyal customers. Retaining customer is important for any business, you’ve probably heard of the 80/20 rule. The rule states that 80% of your revenue will come from 20% of your loyal customers. So if you haven’t already started developing specific content for them, now is the time. Email- this includes special promotions and discounts to loyal customers. Surveys and polls- ask for their opinion about your solutions and services to help you improve them. Rewards- you can offer rewards such as additional discounts to customers that refer more business to you. This doesn’t solely apply to loyal customers but can also be used on lost leads. It provides them with a little extra incentive to revisit using your services. Like any campaign, you can measure how effective each of the techniques was. This allows you to change your approach to content for retention based on what works. 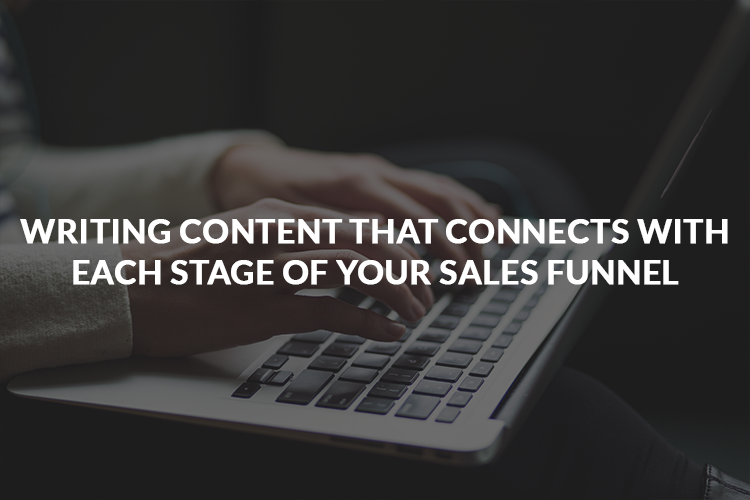 By aligning your content with your sales funnel you develop a more effective approach to content marketing. An approach that not only focuses on traffic but also promotes sales conversion. It aligns with your overall goals for your business, interweaving sales and marketing in the process. In doing so, you will find that there is a higher ROI. Just be sure to have the right KPIs for measurement in place and curate the content. Your business should experience growth like never before.